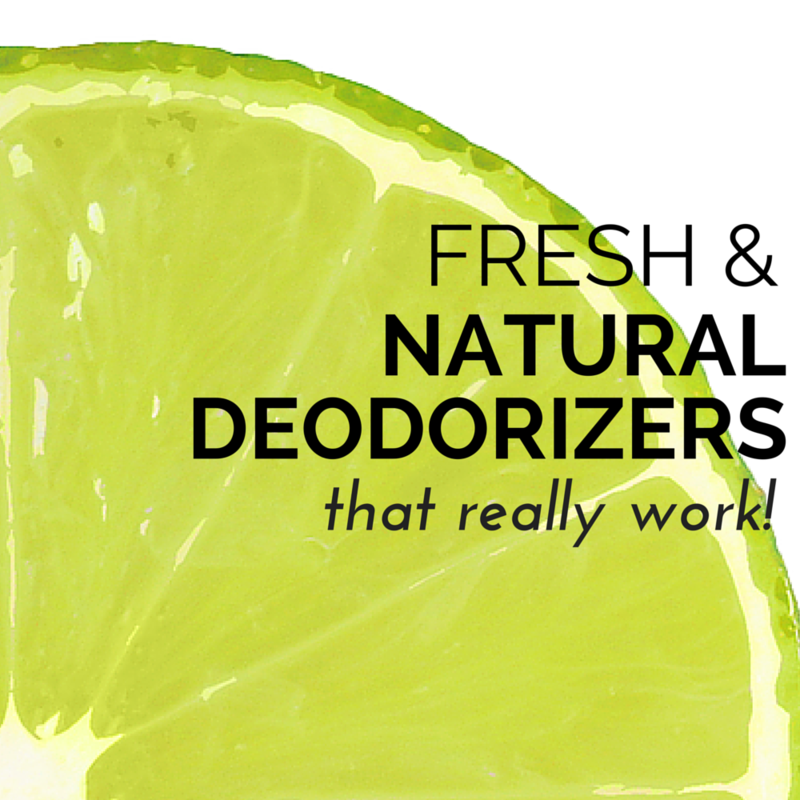 5 ALL NATURAL DEODORIZERS THAT REALLY WORK! Musty basements to not so fresh garbage disposals to even your recent fish dinner – some smells in our homes we just want to eliminate . . . and oh so quickly! I went into detail about how to make your house smell amazing naturally by eliminating indoor air pollution as well as a few other tricks to keep you and your family breathing easy. As I explained there and I am saying now, those tricks do not include masking offensive odors with canned air fresheners or certain scented candles that contain harmful toxins. That really should not be an option especially when you have so many easy, inexpensive and great non-toxic alternatives. Come take a peek! Have you tried any of these natural and non-toxic methods to keep your home in the clear and smelling fresh? 1. Wipe pet odors away with a simple sprinkle. Here are two quick and natural ways to neutralize pet odors: One – scatter the area (say your carpet where your dog hangs out) liberally with baking soda. Close the door and leave it there for several hours. Vacuum up to a much fresher smelling space. Two – sprinkle generously some active charcoal granules (used in kitty litter for a good reason) in a bit of thin fabric or cheesecloth doubled up and tied to seal. Leave it near the pet area but out of reach from your pet. That amazing baking soda? Don’t forget to leave any leftover boxes of it in closets, under sinks, in your refrigerator, and garage . . . It is a really inexpensive, non-toxic odor eliminating solution for a lot of areas. Don’t miss this: You may find some other natural ways to take care of your pet here, too. 2. Borrow from your art supplies. Those sticks of chalk can reduce odors as well as create great designs. Place a few pieces of chalk in strategic smelly places like mudroom closets, lockers, gym bags, shoes and even your car to keep it smelling fresh. 3. Don’t toss the peels. When cooking or snacking, gather those citrus peels (lemons, clementines, oranges, grapefruit, etc.) and throw them in a bag in the freezer. Later, throw a few peels in your garbage disposal with a handful of ice to clean and freshen. Don’ t miss this: Those citrus peels can do so many other neat things, too. Look here! 4. Make your own infusers in minutes. Place your scent combo ingredients you have chosen above in a medium sized pot. Bring to a boil and keep on low simmer, but don’t let water evaporate. Keep checking and add more water to cover ingredients as necessary. Don’t miss this: I loved how this blogger made her own olive oil candle that you could easily add a drop or two of organic essential oil to create your favorite scent. 5. Steal from your local coffee house. Well, not exactly stealing, but recreate that scent of your coffee house (if you like that scent, of course) and leave a cup or so of coffee grounds open to absorb odors as well. It works quickly! Don’t miss this: How that coffee habit may not be such a bag thing. For even more great tips . . . tap on my healthy home board on Pinterest that is chock-full of great pins to help you get your space looking great, naturally smelling clean as well as organized and clutter-free — all to best support your healthy lifestyle. Please add on in the comments and tell us your natural way of killing a not-so-homey smell! These tips really work! I have tried them in my home! Thank you for sharing your fresh and fab ways to freshen our homes naturally at the Healthy Happy Green and Natural Party Blog Hop! I'm pinning and sharing. Citrus is my favorite, too! Can't get enough of it and it is a mood brightener, too! Ooh, great idea with the citrus peels! And I'm definitely going to have to remember to use my baking soda more, I often forget about it. Thanks for the tips! Have some citrus peel on the stove right now simmering away, Hannah, and it is smelling gooood! Do try it in your disposal and on your stove! Thank you for sharing such fantastic tips on #tiptuesday. I know a lot of people like that! It is a unique smell indeed. I love both the smell and taste, Debbie! Love using everything, too, and no waste, right! I agree, Tara. Thanks for adding in! As always, really great tips! I never would have thought to use chalk as a deodorizer! I'd love to make one of those infusers! 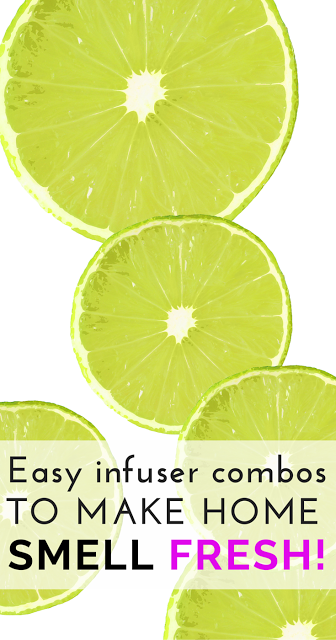 Oh yes, those infusers are so refreshing! Do try, Janelle! Great, Nicole. So glad you have some new tricks to try! This is a great post. My husband makes a ton of all-natural products in our kitchen: shampoo, conditioner, deodorant, etc. Less chemicals in our life! Thanks for sharing at the Tips & Tricks party. Please join us again next week! That is really neat that your husband takes interest in that. It probably saves money as well. Thanks for letting us know your experience, Lisa. Do try it. Inexpensive and effective. Thanks for adding in, Launna! Great tips! I'm way to quick to grab the commercial stuff! I know as some of them do smell nice, but, what is in many of them? Not so nice. Go natural, Julie! Thanks for coming by!